Ever amazing chiptunist Pixelh8 has released his highly anticipated second album. Lucky for me Pixelh8 sent a copy of this album over for review. The album, known as The Boy With the Digital Heart, can be purchased from his myspace page, or Hidden Youth Records. It is pure chiptunes all done on the original machines, using only what those original machines could dish out and nothing more. That is definitely not to say that this album is simple, or lacks depth. Quite the opposite in fact. This is probably one of the most complicated and intensive chiptune albums I've yet to hear. Just goes to show how in tune and knowledgeable Pixelh8 is with his "instruments." The album as a whole is very cohesive, and the songs all blend together amazingly well. This 11 track album clocks in at about half an hour, but you get far more than than 30 minutes of satisfaction from this album. Well enough basic praise for this album, let's get to the more in-depth stuff. The first track is entitled Girl Fight, and synonymous with that title, who doesn't like a girl fight? The album starts with an awesome intro that might remind one of firing up a racing game. Once the next sound comes in though, it quickly defines itself as it's own song. Girl Fight has some interesting breakdowns, and a catchy beat that keeps the song interesting the whole way through. The song has a cool outro that takes the song out on the same note it came in. That song leads into Segue 18, which, as you can imagine, is a segue into the next song. It's a great fractured segue too, breaking everything down from the first song, and then building everything back up in the following track. Meet Me at the Arcade is the track that follows. This song is softer then the opening track, once the song gets going though, it's just as catchy. I must say I thoroughly enjoy the rise and fall feel of the main riff on this song. The song leaves us with a cool little two note outro. We Can All See Rainbows is the fourth song on the album. A fun title, and a short uplifting song that has some cool start stop beats and leaves us pretty abruptly, sending us straight into The Master. 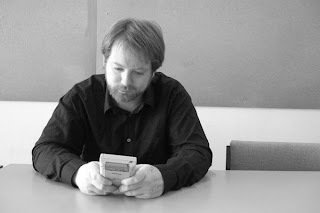 The longest song on the album, The Master provides a long winding sound scape across chiptunes. It feels like Pixelh8 really let this song travel to a greater destination, with several great, winding riffs, and a fading outro. After that amazing journey, we dive right into the next track. Namely Your Parents House, a great track that uses some great flourishing music effects over a strong beat. Following that is A Party Without You. A slow, and even sad song. 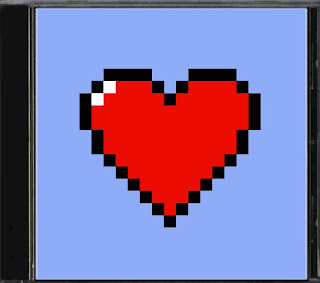 It sounds much like a break-up song, and shows the real versatility of chiptunes. Amazing that this song can draw such emotion from this hardware just as well as any other instrument. This is probably my favorite song on the album, because of it's amazing style and mood. That would have been a great song to end on, but a depressing end it wold have been. Thankfully Pixelh8 keeps the record moving with Showdown in the Disco. A song you can truly picture a 2D western disco gunfight to (someone should make that video). The song is pretty straightforward, with more of an emphasis on the main beat, up until the ending, where it is taken over by a nice effect. Finally, we get to the track with the coolest title, Super Fantastic Turbo Magical 2 Player Love Game Adventure Called Happiness. This song is quite an uplifting song, and sounds as much of a love song as A Party Without You sounded like a breakup song. A lot of emotion is brought to this song as well, and once again displays his range of music and emotion. Chocolate Milk is the name of the first to last song on the album. This song travels quite a bit of musical territory too with it's expanding riffs, breakdowns and builds, which finally bring us to the final song of this amazing album. The final song is titled I Can't Run to You Fast Enough. It's an excellent song to end on, with it's soft rhythm and playful notes, it sounds like a bittersweet sister song to Party Without You and Super Fantastic Turbo Magical 2 Player Love Game Adventure Called Happiness. All in all a fantastic album, and may be a landmark album for chiptunes in general in my opinion. The ability for these songs to evoke such emotion, and that he has done this all as he says, with "Every note, every beat and every sound, written from scratch. No samples, no phaser, no flanger, no effects. No emulators, no trackers, no cross platform composition. If it couldn't be done on the original machines, it wasn't done. Pure chip tune music." 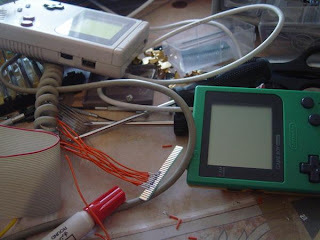 The fact that he has done all this in just this way, I think, is a major step forward in the chiptunes movement. He disproves many misconceptions, such as chiptunes always sound like video game music, the technology is too limiting, and that all chiptunes sound the same. Every song on this album stands out, yet everything melds so well together, each track has been placed perfectly and sounds like it belongs on this album. This is by far worth the purchase. To reiterate, buy this album, and you can buy it HERE.